From a Lush haul to a Disney haul... Can you tell my Student Finance has been burning a hole in my wallet?! Most of this came from a Disney Store order - I wanted to get Rocket and Groot from the new Guardians of the Galaxy Tsum Tsum collection, and I kept spotting the odd thing here and there to add to my basket, and before long what should have cost me £6 turned into over £30! Oops! 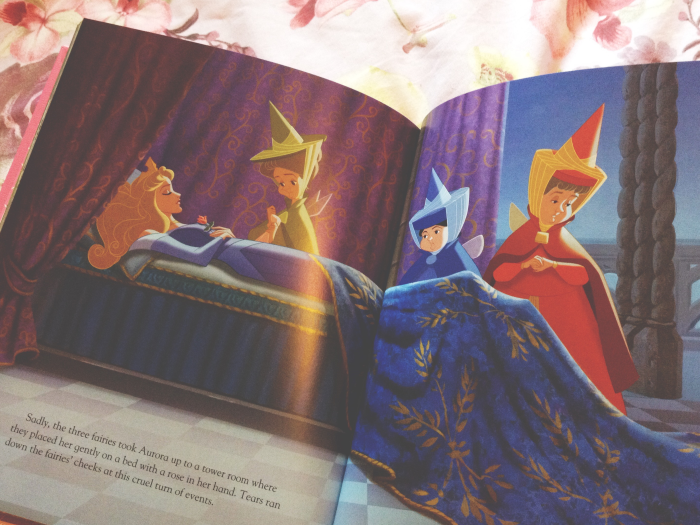 Firstly I bought this gorgeous Disney Movie Collection Sleeping Beauty book from Tesco. I missed when these range of books were on offer last year and most of them are a bit pricey now so I've not been able to justify buying them before now but strangely this particular one was only £2 so I couldn't resist! I've only had a quick flick through so far but the artwork is absolutely gorgeous so I'm looking forward to getting properly stuck into it. As well as the new Rocket and Groot mini Tsums from the Disney Store (how adorable is Rocket?!) I also picked up two new mugs to add to my ever-growing mug collection and this Inside Out notebook which was in the sale. I'd been stalking the 'New In' section of the Disney Store for weeks looking for this BB-8 mug and luckily he appeared the day I was making an order anyway! I'd also been on the lookout for an Alice In Wonderland mug to add to my collection, I'm obsessed with the 1951 Disney film, and as soon as I spotted this one with it's vintage record artwork I knew it was the one! As I've mentioned before, I've also got a small Funko Pop collection going on and the boyfriend kindly surprised me this month by ordering me a BB-8 Pop to cheer me up from my exam revision! He'd been on my wishlist ever since I first saw The Force Awakens and I'm so pleased to finally own him - he's just too cute! 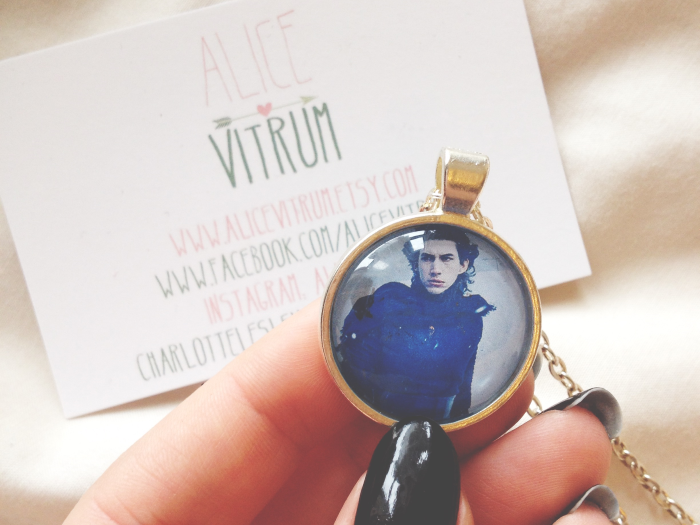 And finally, I forgot to add this in the pictures above but I also bought this AMAZING necklace from Alice Vitrum on Etsy this month. If you follow me on Twitter you've probably guessed that I have a bit of a crush on Kylo Ren from The Force Awakens (#BenIsBae) so when I came across this necklace I obviously had to add it to my increasing Kylo collection! Charlotte also makes a range of other lovely Disney and pop culture necklaces so her shop's definitely worth checking out. 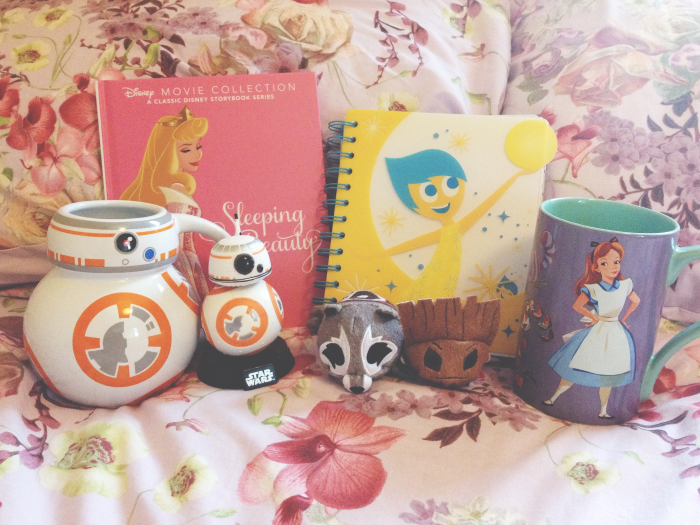 This haul is perfect - I especially love the Sleeping Beauty book, Inside Out notepad and Alice mug! 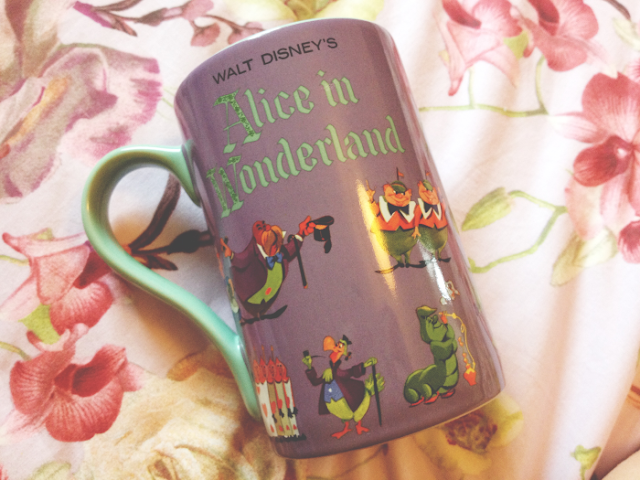 The Alice in Wonderland mug is so nice! Definitely going to have to add that to my Birthday wish list. What a lovely little haul! 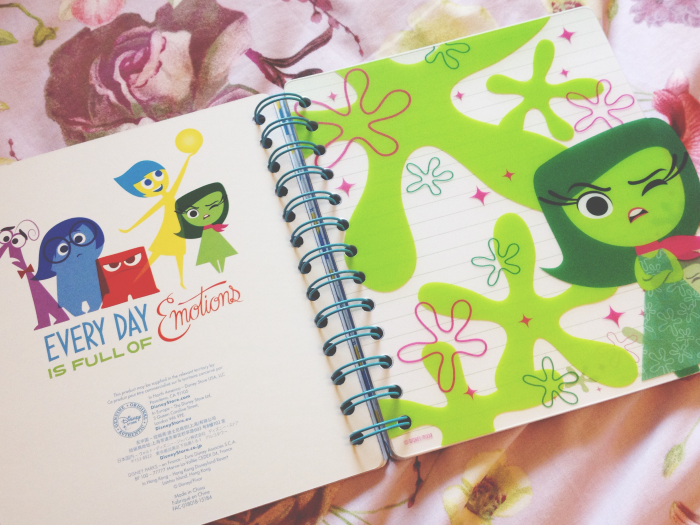 I am such a fan of anything from Lush and I am loving that Inside Out notebook - what a good film!